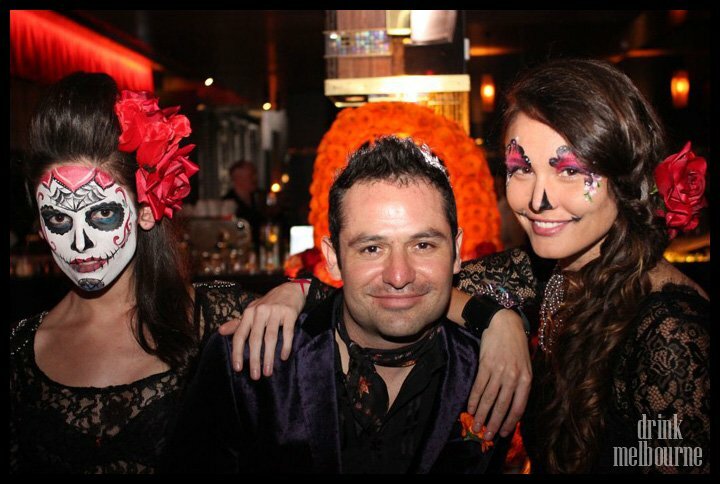 The first Day of the Dead Festival has premièred in Melbourne, launching at the new Cellar Bar in the basement of St Kilda’s Newmarket Hotel. 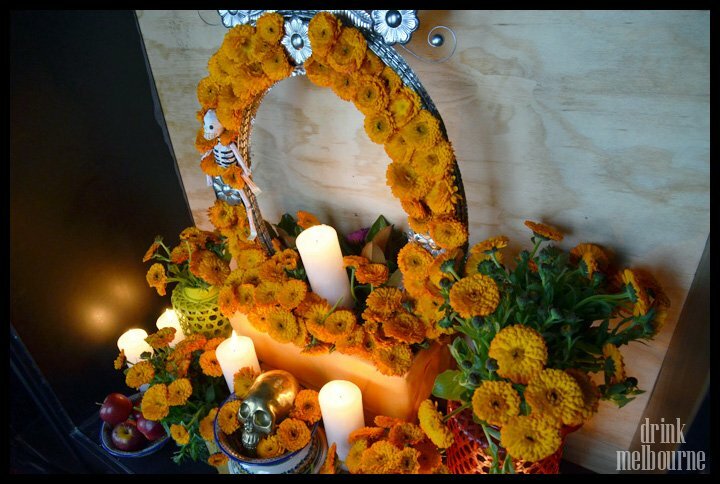 Intended to be a annual event, the festival is derived from Mexico’s tradition Dia De Los Muertos. 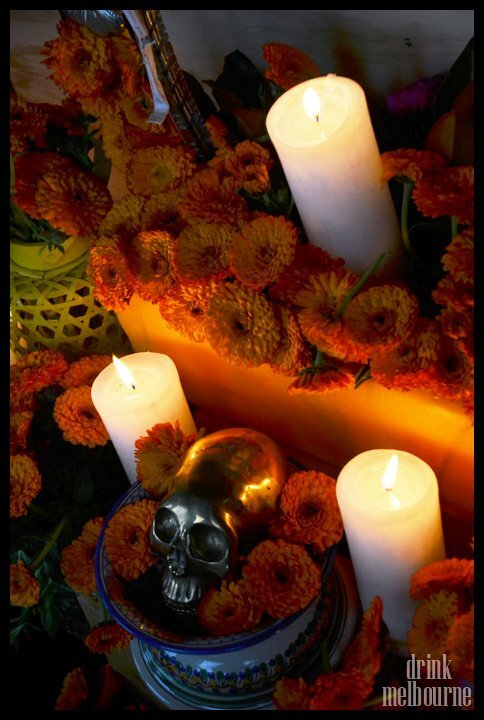 Likened somewhat to Halloween, the Day of the Dead is a time when tributes are offered to spirits and lost souls. Our own version of the festival involves a series of restaurant events, pop-ups and parties running from now until Melbourne Cup Eve which honour Mexican folklore and culture. Amid grotesquely beautiful painted faces, skulls and marigold offerings, any good Mexican festival should be well lubricated with tequila. One of the oldest houses in Mexico – JLP The President’s Tequila – is backing the Day of the Dead. 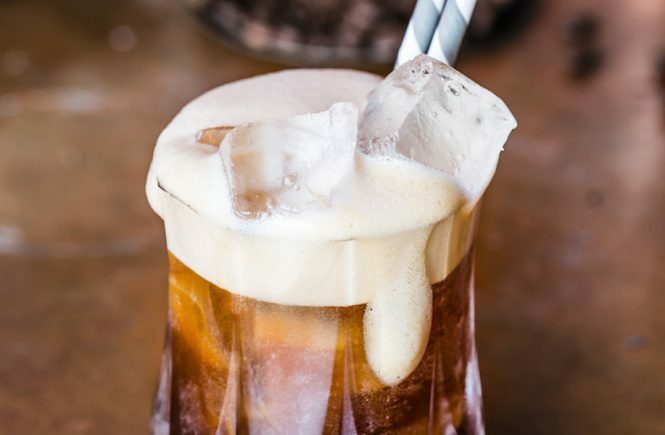 The festival’s director Ricardo Amare (of Senorita’s) has gathered together Latin eateries such as Radio Mexico, Maya, The Black Toro and the Taco Truck to reinforce the fiesta atmosphere in Melbourne this season. Find out what’s on at the Day of the Dead Festival here. 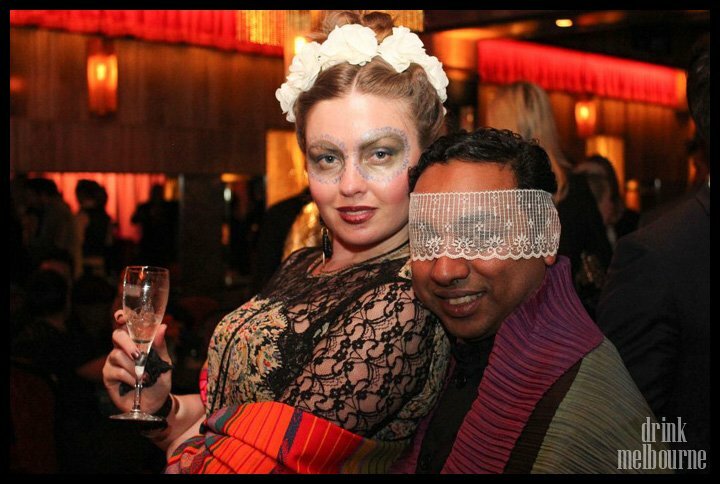 Frida Kahlo made an appearance (from beyond the graaaaaaave). Festival director Ricardo Amare with a couple of Catrinas (a folkloric representation of a – sadly deceased – upper class woman). Gorgeous floral tributes by Flowers Vasette.